Once you have water or mold issues in your basement or crawl space, whether a small long term problem or an immediate issue with large amounts of water, American Standard Waterproofing is there 24 hours a day, 7 days a week to help you. 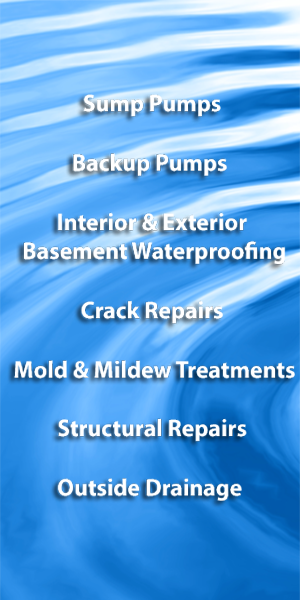 Our services range from entire basement drainage systems, to foundation repair and sump pumps and backup pumps. Our goal is to create a healthy home for your family with a dry basement forever. We are raising the standard of the waterproofing industry one home at a time. We install Zoeller brand pumps for all size basements. Our expert staff will install the perfect size and horse power for your space. 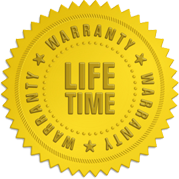 These pumps come with a limited 2-5 year warranty and you can extend that warranty with our service contract. 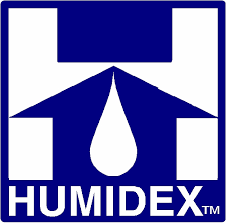 Humidex is more than a dehumidifier. Humidex is a home humidity and ventilation appliance that improves air quality, reduces window condensation, replaces stagnant and damp air with fresh clean air, and uses very little electricity. The only solution for your damp, humid and musty basement, crawl space or apartment. Click here to lean more. Backup pumps are perfect for if you live in an area that loses power frequently. We install water powered and battery powered backup pumps. For minor basement or crawl space issues we can apply sealants, coatings and liner to enhance your waterproofing. Some water problems are just simple fixes like extending your downspouts, or sump pump discharge, while others need curtain/finger drains on the exterior or grading of the property around the foundation. We offer many solutions for your exterior to increase your water proofing and damp proofing. Our expert staff can look at your foundation and access what really needs to be repaired. We offer simple repairs to your foundation or total rebuilds of cinder block walls, wall pins, wall beams and carbon fiber straps. With our expertise in all basement or crawl space concerns we can also provide full installation of basement entries or egress windows, or replacement.